moominstuff: Polaroid past is present. A couple months ago, I found four rolls of Polaroid Type 47 for a very good price. The boxes don't have an expiration date on them, but it's probably early to mid-1980s, as the particular box design was changed to the newer blue box around 1985-86. So, what exactly is Type 47? Roll film! 3000 speed roll film, to be exact. Same as Type 667 and Type 87. 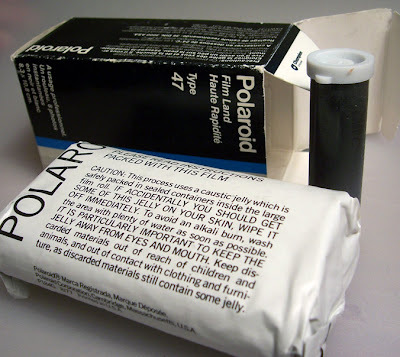 Before Polaroids came in hard little plastic packs, they came rolled up on a spool (two, actually). This film was discontinued in the 1990s. I think the latest expiration date I've seen on Type 47 is 1994. 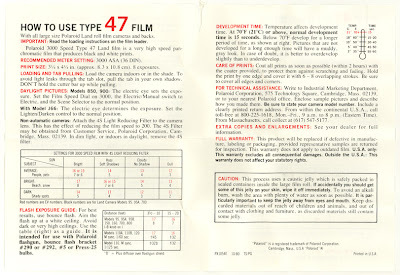 Type 47 seems to be the last roll film produced. Most were halted in the 1960s and 1970s. There are actually some pretty nifty roll films. Type 146-L is actually color slide film! Imagine that large color positive slide...sweet. Unfortunately, the stuff would be way too old to work by now, I'm sure. So let's open up that box. As you can see, the package is shaped nothing like pack film. It also has a tube of coater, like you would get with Type 665. I managed to not take any photos of the rolls, and I don't want to open up another pack until I shoot it so it doesn't dry out, so I'll just show what I have. Sorry, I seem to be ill prepared for this post! Here are the instructions. When you unroll the film, you get a set of instructions. You can see the two rolls and how they fit into the camera. It's actually a bit confusing, just because it's different and not like pack film. I'll go into a bit more detail about the foibles of loading in a few. Okay, so I have all this sweet film...but I didn't have a camera to use it in. I needed a roll film Polaroid. Good news is that because roll film is defunct, the cameras are, for the most part, dirt cheap. 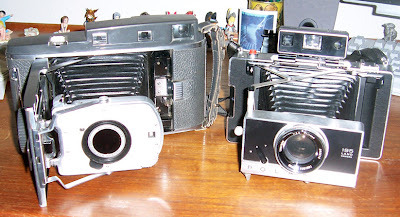 There are a couple expensive cameras, just because they have very nice lenses and people convert them for pack film. I wanted the cheapest working camera I could find. I wasn't even sure if the film still worked. I did some research and went to a local camera store to check them out. I didn't want to order one online because I have zero experience with these cameras and didn't know what was good and bad about them. I looked at a J-66, but it takes batteries, and probably batteries that aren't made anymore. I figured all manual was the way to go. There were a couple all manuals. The one I initially considered buying turned out to not work, so I bought a Polaroid 150 for about 10 bucks. According the Landlist, this camera was made from 1957-1960, and originally sold for $109. I got the camera, a case, a flash set and a filter for around 10 bucks. And speaking of the filter, it's damn well and good that I went to a camera store to check these out, because I didn't know that you need a filter when using 3000 speed outside. I would have had blown-out photos if that filter hadn't been in the case. 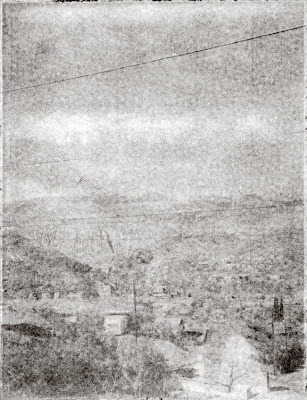 The filter reduces the film speed from 3000 to 200. That, my friends, is a dark filter. Okay, so the camera. First off, it's huge. I thought my 195 was big...this is bigger. A few comparison shots. Next to that little Fuji Natura, it looks like the monster from Cloverfield. And your intrepid camera explorer (hey ladies) holding a 10-pound camera. Not something I want to wear around my neck. Speaking of size comparison, Type 47 does use a spool. 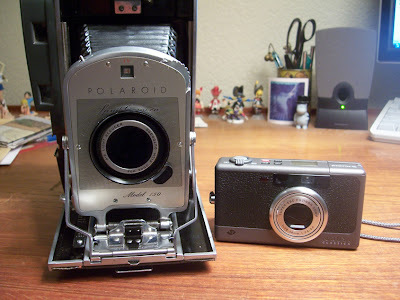 Here is The Polaroid spool next to a 120 spool. 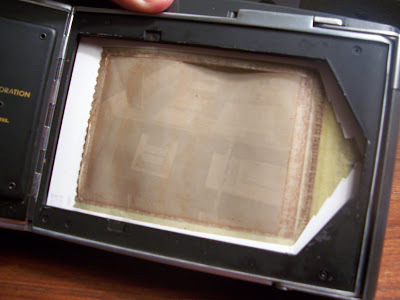 So how does a roll film Polaroid work? We'll start from the inside and work our way out. First we see where the rolls of film go in. 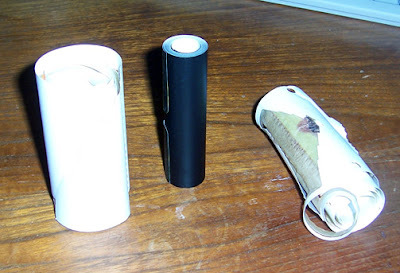 Unlike pack film, where the positive and negative are packed together, roll film has two separate rolls. The negative roll sits on the right spool and the print/developer roll sits in the left side. You place both rolls in the proper sides and then close the first door. You pull the long sheet out and the first shot is ready to take. So you shoot, then what? Well, first, you flip the red switch on the back. 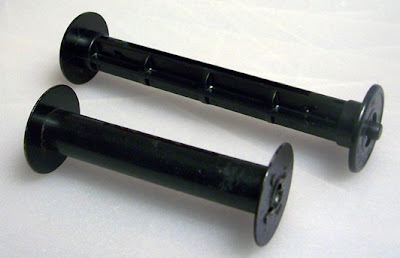 This is basically a lock, and when you flip it, you can pull the film until it clicks and locks again (the next shot). 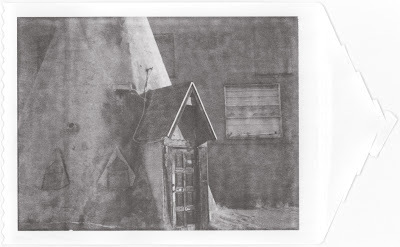 When you pull it, you are taking the exposed negative and meeting it up with the print. The goop transfers the image to the print. Somewhat interesting is that the print paper is not light sensitive at all. 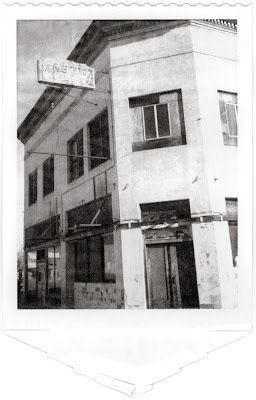 So, somehow, through the magic of Polaroid, the goop takes the image from the negative and prints a positive onto the glossy paper. This gets me to thinking that maybe you could use other papers to print your Polaroid images on. I may try that with pack film someday. Take it apart and change the paper out. 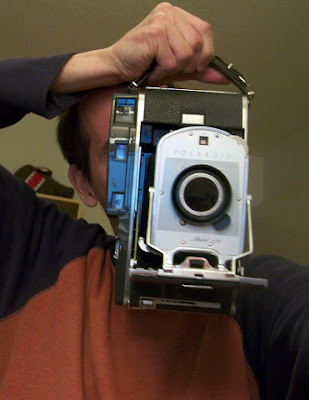 I also wonder if it's possible to homebrew Polaroid developer...then you could make your own Polaroids! Anyway, so you've flipped the switch and pulled the tab. Next you wait the alloted development time. Because this film was so old, I waited about 2-3 minutes. So where is the print? It doesn't actually develop outside of the camera like pack film. It's more like a momma shark that spits out a fully developed baby shark. I don't think this is actually true for sharks, but it was fun to say. SO you wait, and then you open up the "third door". This isn't opening up the camera...it's just a print door on the back. You see the print sitting there. This is obviously 'finished' film, but you see what's happening. The print has perforated edges, and you just rip it out (carefully). What's left is a negative that stays in the camera until your next shot is taken and pulled. And your very curly print is yours to coat and dry. So while you are taking your "current" shot, the last negative sits in the camera. 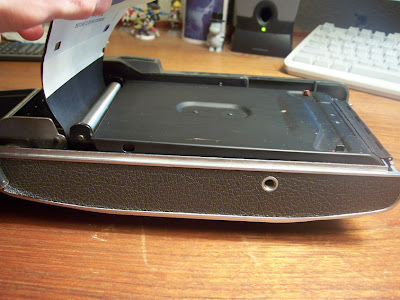 Now, what you are supposed to do is use the cutter on the edge of the camera to rip each negative off for disposal (and, again, the negative you pull and throw away is from your previous shot while the new one is developing). But, you don't have to tear them off, and you can just collect a very large mess of negatives. Just for fun. You can see the film obviously still worked. No surprise, or I probably wouldn't be typing all of this out. At the time I thought, "Hot Dawg!" with a few cuss words between the hot and dawg. But!!! WAIT!!! Is it really that easy! I actually completely screwed my first roll. I loaded everything as instructed, took a shot and pulled the film...nothing. Just a white sheet. Did it again, and again, just white. And it was really tough to pull the film. Something definitely wasn't right. And there was goop all over the inside, and I didn't have a negative. At this point, I didn't know what to expect, so I didn't know that there was supposed to be a negative. Anyway, I knew something was wrong. So I just opened up the camera, exposing the film roll. Turns out the negative roll was still wound and sitting on the spool, not attached to the prints spool. I wasn't sure how it was constructed to know what was wrong. I ended up taking a fresh roll in a dark room and figured out what was wrong just by feeling around. 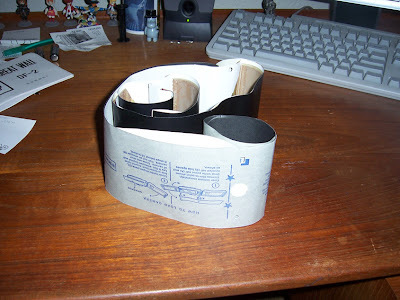 The two are taped together at a certain point, and the tape had completely dried out, separating the two parts. So I fumbled around in the dark and taped it back together with fresh scotch tape. And I made it work! The second roll was a success. These are the remnants of the sacrificed roll. The undeveloped negative roll, the unprinted paper and the mess that I pulled through. Okay, so it works! 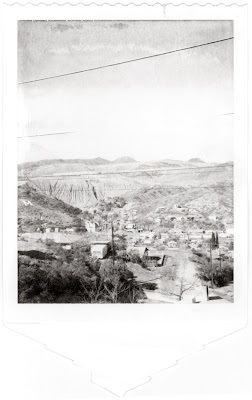 I took it with me on a road trip with sol exposure to Miami, Arizona, a small mining/ghost town east of Phoenix. Here are some prints. They have the funny pull tab as part of the print. They are slightly smaller than the 100 films (665, 667, etc.). Has that expired 3000 film look to it! Very nice. High contrast, faded. Very vintage look. I have two more rolls to use...not sure on what, but they will probably last a bit longer until I decide. They are about 20 years old already! One other nifty feature. With Type 87 and 667, you can scan the goop side. 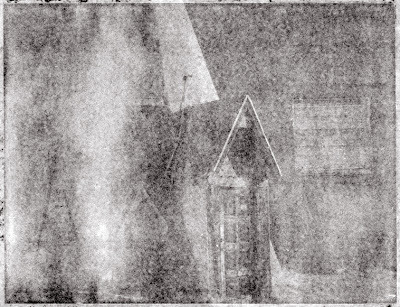 Well, Type 47 also retains an image on the negative side. First I scanned it as is. Not so hot. I decided to experiment a bit. 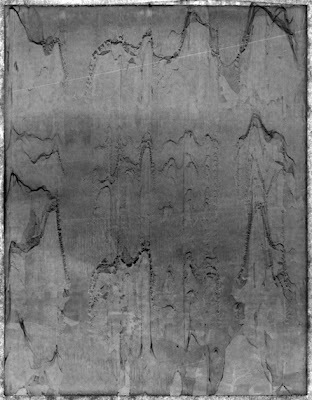 I carefully rinsed the goop negative, to find that there is an actual usable paper negative under the goop! If you wash 87 or 667, the image washes off. Type 47 retains the image...very cool. So I rinsed a few of the negatives, let them dry and scanned them. Nothing fantastic, but interesting still. I'm not sure how stable the paper negatives are, if they will fade or what, but it's just something else to mess around with. Okay, I'm tired of typing. Someday soon I will talk about my new Great Wall 120 camera, and I have some funky vintage plastic toy cameras coming straight from China in a month or so. Should be fun! Oyasumi Nasai. Wow, very cool. I never knew about the Polaroid rolls. You have some great informative posts. Thanks for sharing. I love your posts! I wish I had the time (and money) to be able to pursue a vintage camera hobby. Hi - neat comment. I have a Polaroid Model 900 that was my mom's; I used to use it back in the '80s. I worked at a job that occasionally required black-and-white photos of personnel for publication in the company magazine, and I found that this camera, with the Type 47 film, was perfect for the job. I've always regretted that they dropped the film. I read today that Polaroid has issued a press release that it's ending production of all Polaroid instant film of all types; enough will be stockpiled so that retail sales will run down some time in 2009. End of an era. truly the end of an era. not many people will get to do this again, thanks for passing on your experience. more to the point beautiful, fragile pictures. I swear that's one of the coolest things I've seen in a long time. 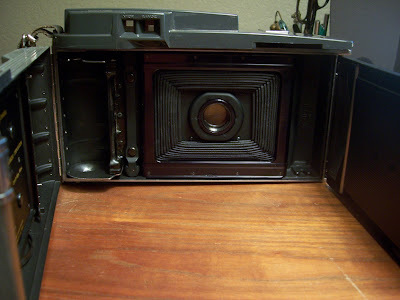 I just bought a Polaroid 850 Electric Eye Land Camera for $10.... AND IT WORKS!!! Well, the shutter works. The film in it, however, did not work. I've never used one, so I could have just totally screwed it up myself. But I'll find more film somewhere, some day and take some awesome pictures. One of the strong memories about my grandfather using this kind of camera every Christmas was the smell of the film and the flashbulbs. And every time there's a whiff of something even close, I recollect some of those family photos. D'ya spose you could do some hi-res scans of various over exposed films, negatives & such? I'd love to have them as bases for PhotoShop compositing some nostalgic imagery for our family website. Even having the pattern of the 'goop side'and developer errors will have uses for that. BTW, the photoalbum webpage linked to my ID doesn't have any Type 47 scans. But that's mostly because I haven't been satisfied with how the 40 year old photoes were scanning. and that FUJI FP-3000B or FUJI FP-100B will work with them also? but i heard FUJI FP-3000B is much better. not with this camera, unless you convert it to pack film (see my more recent conversion post). these cameras only take roll film. Thanks for the article! 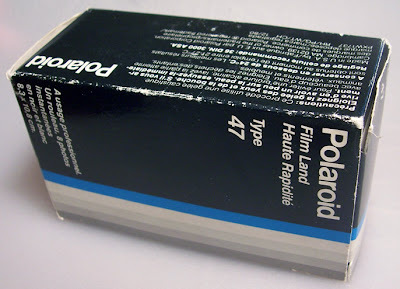 I still have a couple of rolls of Polaroid Film that has been in my refrigerator for 20 - 25 yrs. Someday I will try it in my Polaroid 110A. Picked up a roll of 400 PolaPan for my Model 80B, expiration of 10/68. Should I even bother? i doubt it works. the oldest working polaroid film i think i've seen work is 1979. the 3000 speed film seems to last longer. you could try it but it is probably bone dry by now. 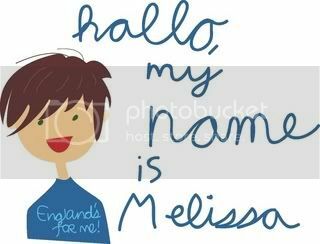 But your blog here is very entertaining!! Thanks for giving info on how to use these cameras!! Its been a great help! is there any way I could make one I dont use into a digital one somehow? 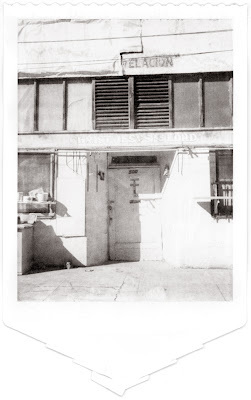 Do you have any Polaroid Type 47 B/W Film you would like to sell? I have to roll mine through the rollers of a pack film camera, though, as the rollers in my 150 tear the photo paper off inside the camera. I know this is an old post, but I just had the exact same experience with my first roll. I have another that I just got and was wondering if there are any preventative measures I can take as I load the film to keep the separation from occurring? Polaroid is dead, long live... ? ?